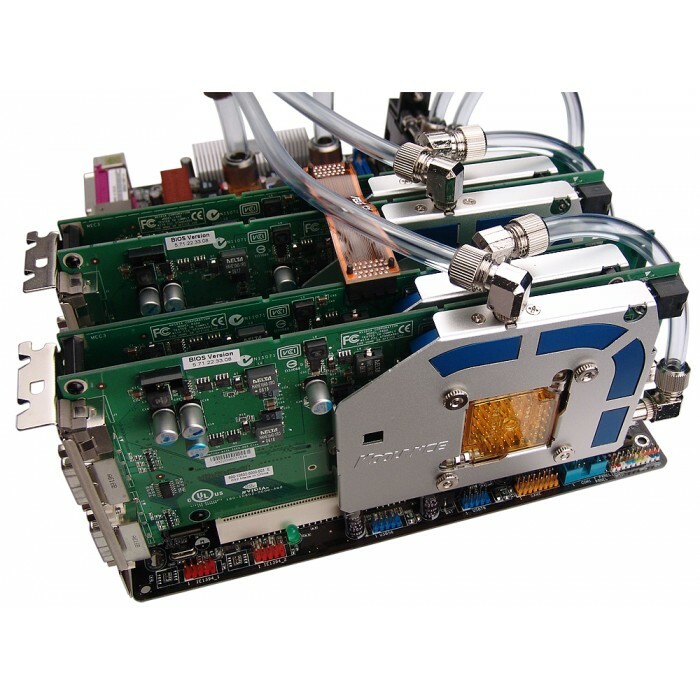 The VID-400-L06 consists of two separate dedicated GPU and memory coolers for GeForce 7950GX2 video cards. 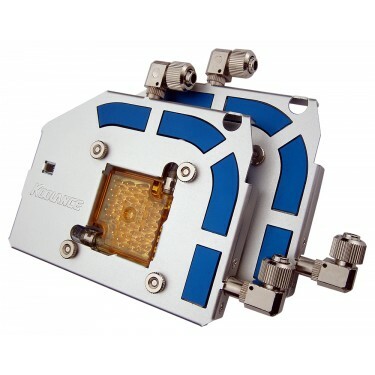 Two VID-400-L06 will function in "quad" SLI configurations. Each half is capable of absorbing heat of up to 200W, for a combined total of 400W for the entire cooler assembly. There are four fittings total, each with 360-degrees of rotation for maximum flexibility. The coolers combine gold-plated high density solid copper chipset coolers, and anodized aluminum memory and control chip coolers.